Are we headed for faster, cheaper, better wealth management? 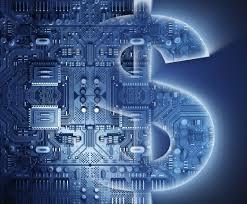 Home Uncategorized The digital age: Are we headed for faster, cheaper, better wealth management? The digital age: Are we headed for faster, cheaper, better wealth management? Experts gathered at the Thailand Wealth Management Forum to put forward their opinions on emerging digital trends in wealth management including distribution, plug-and-play versus bespoke design and the consequences of failing to join the technological superhighway. Is building digital distribution important? Will all the bank branches disappear? The Hubbis Thailand Wealth Management Forum panel dialogue began as guests were asked for a summary of current technological trends being embraced by wealth management companies and what benefits and challenges these are bringing to the table. “There are two levels of development,” replied a guest. “Firstly, there is the hype about all things fintech and digital, but once you get past the exciting new concepts there is a human level of understanding missing. Another guest responded that technology is not meant to replace client advisors; rather it should be designed to enhance them as a hybrid. Sticking with the theme of hybridisation, there was some consensus that not every problem can be solved with an off-the-shelf fintech product, but that self-built solutions were also needed to ensure the best solutions. There were mixed feelings about whether AI will leave the human role diminished in wealth management or indeed other spheres of activity. Ultimately, however, guests felt that it was not a question of replacement, but rather of how AI can enhance wealth management alongside the human skill set. “The marketing of digital products is outstripping successful deployment at present,” a panellist added. In Thailand, this technical outsourcing could be a way for smaller wealth management companies and banks to provide a digital experience for clients and benefit from the expertise of the specialists. Panellists wrapped up the discussion by predicting the next step in digital banking. A massive proportion of the 66 million population of Thailand spend many hours a day online, and over half use a smartphone. “They want digital banking solutions rather than picking up the phone or going into a bank,” explained a guest. “We need to capitalise on the many hours each day people spend online. The path towards digitalisation is not a straight road and nor is there one destination. The onset of the digital era for wealth management will see many false starts and many wrong turns. But the reality is clear – the universe of financial markets and the subsidiary of wealth management are undergoing a journey towards digitalisation.